Previously, we discussed both the potential and the pitfalls of surgical checklists. 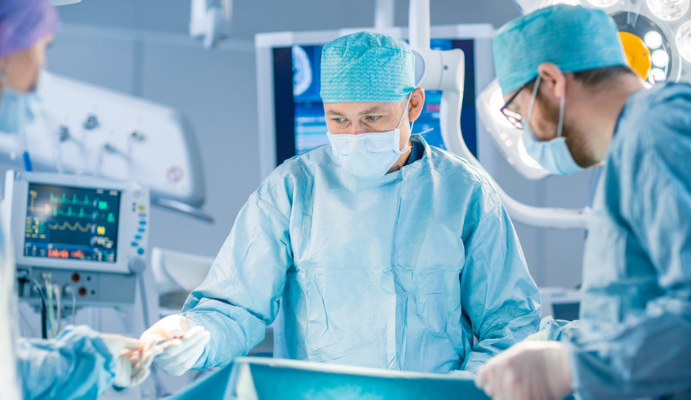 While their usage has been shown to help minimize surgical site infections and reduce post-op mortality by up to 22%, proper adoption and compliance can be difficult to maintain. This week, we'll take a deeper dive to show concretely how integrated checklists work to improve standardized, routine procedures like an inguinal hernia repair. Released 10 years ago, the World Health Organization (WHO) created the Surgical Safety Checklist with 19 items divided into three categories: 1) before the induction of anesthesia, 2) before the first incision, and 3) before leaving the operating room. These checks serves as the core for our own automated (and customizable) checklist solutions. Since hospitals often have their own proprietary checklists that are tailored more specifically to in-house protocols, any integration platform should also account for this requirement. Regardless of the checklist content, we had to find a way to change how checklists are viewed within the perioperative setting itself - that is, as an asset to clinical success or as an administrative burden. To achieve this, we connected our surgical checklists with other integrated surgical processes -- occurring both inside and outside of the OR. By integrating checklists into the larger PRIME365 suite of modules, we were able to sync key checklist steps with both the live video and audio recordings, and track them in the surgical events protocol. it enables a more comprehensive review of procedures post-op, which helps to manage quality and improve standards of treatment. When considering how to really improve the quality of care, we kept coming back to reducing surgical variability. The WHO checklist was a good starting point, but we wanted to take it to the next level. Hernia repairs are the world’s most common surgery with nearly 20 million performed annually worldwide. Considering how our checklists could provide more value, we sought to identify common risk factors and offer guidelines that could help surgeons and ultimately improve patient outcomes. Using the surgical guidelines for TAPP (transabdominal preperitoneal) hernia repair, we included the steps for the procedure into our checklist. By offering a reference point for surgeons, our aim was to further assist in standardizing care and reducing variability (and, subsequently, the potential for post-operative complications). Much like the WHO checklist, the various steps are synchronized in real-time with the video and audio feeds. Having such a granular look at the various stages of the surgery helps hospitals to establish best practices and guidelines for identifying which risk factors need to be accounted for and how post-op care can be adjusted to account for this. Being able to review and analyze real surgeries is ideal for training medical students and continuing education for surgeons. Hernias are just one example. This approach could yield even greater potential impact for more complex and intricate procedures, especially those with a higher rate of procedural or outcomes variability. Not to mention that automating checklists purely alleviates an administrative burden on surgical teams, shifting their full focus to the procedure at hand.